In Australia the market edged up on Tuesday, with the ASX200 finishing the session 17 points higher at 5963. The minutes from the RBA were fairly predictable, with interest rates set to go up at some point, but not any time soon. Low inflation remains a challenge but I remain of the view that tightness in the labour market will help arrest this issue with wage growth. Data shows that shorts in Fairfax Media have increased since the spin-off of Domain. The total number of shares with short interest has risen from 0.07% to 0.23%. Time will tell, but I think that the hedge funds in question have got this completely wrong. Fairfax continues to own 60% of Domain (which I will come to) but I believe there is significant upside pricing risk in the print media assets themselves. Stripping out the holding in Domain, the current market capitalisation of Fairfax is just $335 million. This means that the market is valuing the non-Domain parts of Fairfax (which also includes SVOD asset Stan which is not making money yet but growth top line revenue fast and close to breakeven) at less than two times earnings. This in my view seems very low, and the market is clearly not allowing for any improvement in the print business or advertising cycle. That aside, earnings gains are also likely to come from further cost cutting, as well as the leveraging of the company’s digital assets. Then there is also the 50% owned Stan. The business is similarly placed to Domain in so far as it is growing strongly, and is well positioned behind the incumbent streaming player in Netflix. Our analyst team hold the same view, and maintained a high conviction buy on Fairfax in last night’s report. 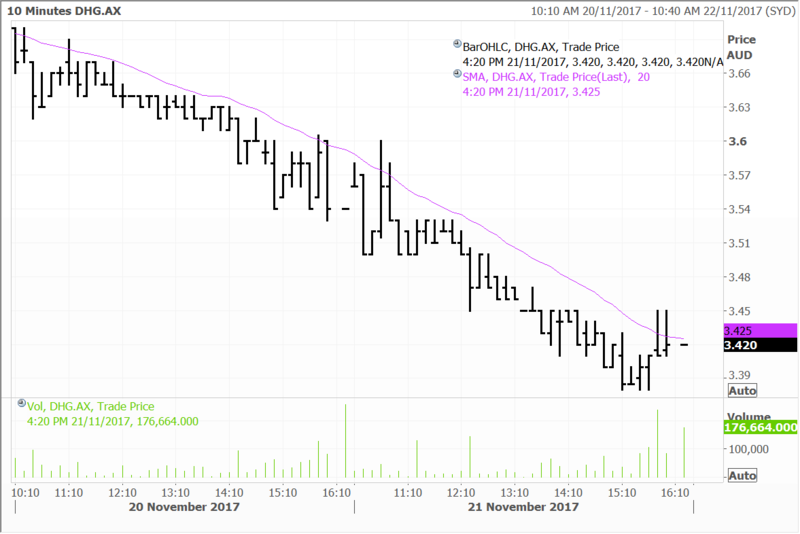 The analyst team have also commenced coverage on Domain, and have initiated with a buy recommendation. They see the valuation is reasonable compared the likes of REA, with Domain being more nimble, and having great scope for growth as the number two player. Although with an audience of approximately 5 million across online and print, Domain already has robust scale to build on. Similar to the points on McGrath, some have suggested that the future for Domain is not as positive as it could be given that the property market looks to be plateauing. The reality though is very different. Far from being at a peak, listing volumes have actually been very depressed, and this will likely change as vendor expectations reset and vendors return to the market. Sellers are already clearly returning after a few years of tight supply. The combined value of Domain and Fairfax has now drifted below the pre-split price, and not helped by short selling in Fairfax. We remain of the view that the sum of the parts (Fairfax+Domain) will ultimately prove to be worth far more than the whole. Baidu was up 2.8% yesterday with Deutsche Bank releasing a note on its attendance of the Baidu World 2017 conference held last week in Beijing. The focus was on Baidu’s strategy around AI (artificial intelligence) and the synergies this technology can create across its business lines and the monetisation opportunities. As I have mentioned, currently one of the more important opportunities for Baidu is the Apollo platform in the autonomous driving space with auto driving likely to roll out step by step from 2018. Baidu is the largest position in the Contrarian Fund and is also held in the Global Opportunities, North American and Asian Managed Account portfolios. Baidu is going to provide a comprehensive system to support these auto driving cars and charge service fees based on value-added services such as HD maps, security services and connection fees. Mobile Baidu is also set to deploy version 10, which better incorporates short video and smart recommendations based on interest and social connections. This business line has potential to add more revenue momentum in 2018 by increasing user time spent and therefore monetisation opportunities. Hong Kong-listed shares of Macau casino operator Wynn Macau have logged a 9.8% gain over the past month. The shares have been given a boost by stronger than expected gaming revenue in the world’s biggest gambling hub and the encouraging performance in 3Q17 of Wynn Palace, the company’s second and most luxurious property in Macau. Wynn Macau is a core holding in the Global Contrarian Fund, along with the Global Opportunities and Asian portfolios. Year-to-date, Wynn Macau shares have soared 81%. In part Wynn Macau, like other Macau gaming exposures held in the Global Contrarian Fund and other portfolios such as MGM China and Sands China, have benefitted from the strong recovery in Macau gaming revenue year-to-date and the positive prospects for the region’s visitation going forward. 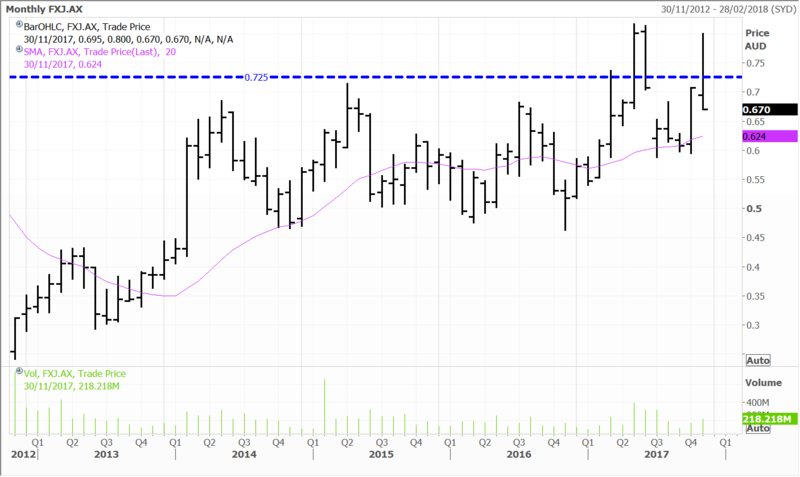 Nasdaq-listed Wynn Macau parent, Wynn Resorts is also a beneficiary and a holding in the Global Opportunities and US portfolios. Wynn Resorts has also had a stellar 2017, with the shares up 80% year-to-date. Macau casino gross gaming revenue surged 22.1% year-on-year to 22.6 billion patacas (US$3.3 billion) in October, topping estimates. It was the highest monthly gaming revenue tally since October 2014. October marked the 15th consecutive month of year-on-year increases in Macau gaming revenue. 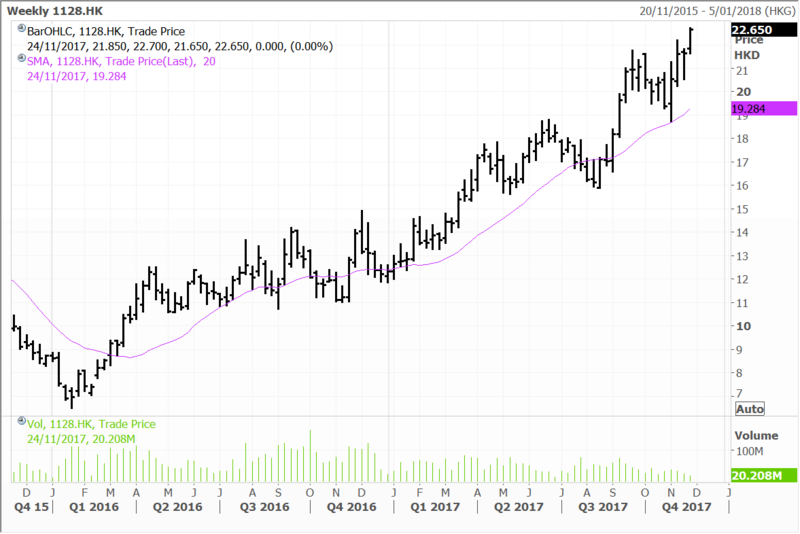 The performance was even more impressive considering it was up against a relatively tough comparison from October 2016, after Wynn Palace (Wynn Macau) and The Parisian Macao (Sands China) opened in late summer and autumn 2016 respectively. The October result took year-to-date gaming revenue to 220 billion patacas, representing a 19.2% increase from the comparable period of 2016. This is a view we have articulated in these notes since last year, well ahead of the growing consensus from the large investment banks. A shift towards a more family friendly approach like that transformation Las Vegas has undertaken will benefit from growth in Mainland China outward bound tourism in the years ahead. China’s outbound tourism is expected to grow at a double-digit pace for many years yet, as the percentage of Chinese with passports is still quite low and spending power of the middle class is growing. Combined with new infrastructure build-out and the new and yet to be opened attractions in Macau and its appeal as a tourism and gambling destination is compelling. On Monday this week, further data supporting the rise of Macau as a tourism destination was released. Visitors to Macau spent 15.9 billion patacas (US$1.99b) in the third quarter, excluding gaming expenses, representing a year-on-year increase of 8.8%. Some 8.27 million visited Macau in the third quarter, marking a 2.1% increase from a year earlier. According to official data, visitors from Mainland China made up almost 70% of all visitors. Wynn Macau has been the star performer among our Hong Kong-listed Macau casino exposures in 2017, as the opening of the luxurious Wynn Palace dovetailed with the return of premium mass and VIP players. Adjusted property EBITDA from the Macau operations hit US$321.4 million, up 82% from a year earlier. The Wynn Macau property chipped in an additional $32.2 million of adjusted property EBITDA, marking a 21.3% year-on-year increase. Wynn Palace again chipped in the lion’s share of the increase. Although this was mostly because Wynn Palace was essentially operating for the full quarter in 3Q17 compared to just 40 days in 3Q16 after its opening, it is also because Wynn Palace’s operations are ramping up. There is scope for further improvements yet at Wynn Palace in our view, as its operations are optimised. Wynn has a strong track record with its property openings, putting relatively little marketing spend into new properties until it establishes a baseline. The company then has generally turned these ‘careful’ openings into strong commercial successes. As the two periods aren’t comparable due only to 40 days of operations in 3Q16, it is worth looking at Wynn Palace’s sequential performance (i.e. versus the June 2017 quarter) and how it is faring against the broader market. On the latter front, the property outperformed in both mass market and VIP in the third quarter. 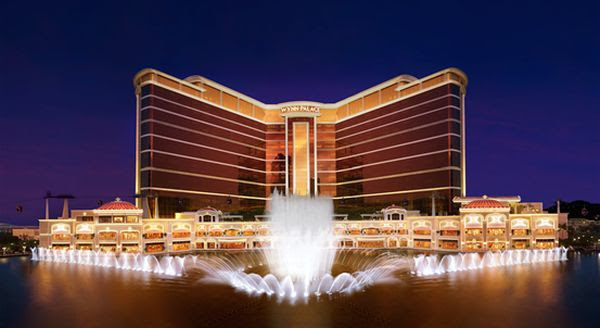 And compared to the second quarter, Wynn Palace’s adjusted EBITDA increased 58.1%. Although the second and third quarters aren’t great ‘comps’ due to seasonal factors, the substantial increase in EBITDA highlights the property is ramping up. 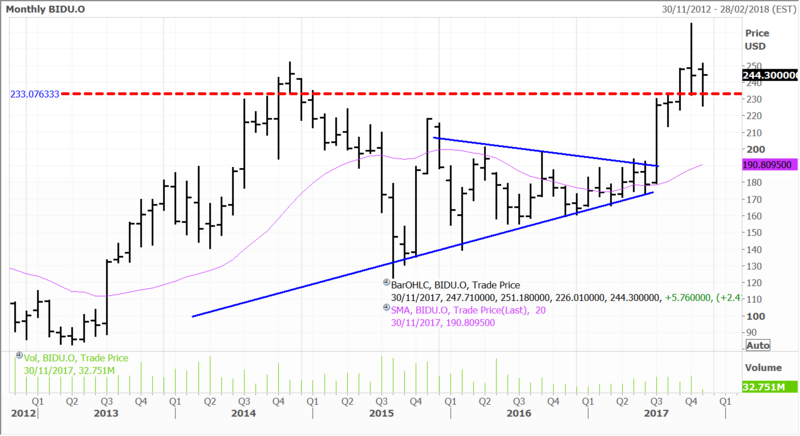 Disclosure: The Fat Prophets Global Contrarian Fund declares a holding in Baidu, Domain, Fairfax, Wynn Macau, MGM China.